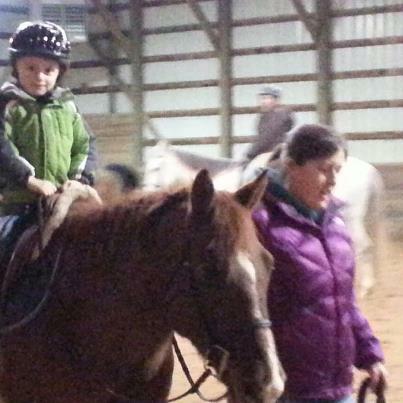 Our lessons focus on learning to ride in a fun, safe environment. Each lesson is tailored to the individual and their goals. 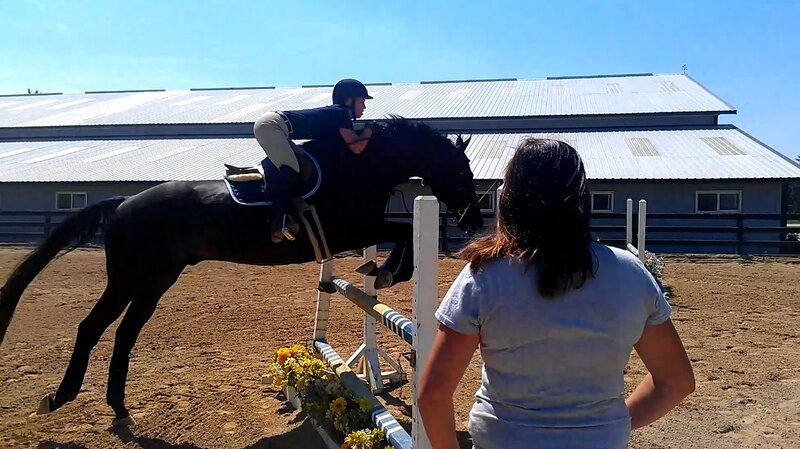 Whether your goal is to compete at a horse show, learn to jump, overcome a fear or just enjoy riding, we are here for you. Our program is for students that want to lesson at least once a week and we encourage taking two lessons a week. Our school horse lessons are taught by our great trainers and you can find out more about them on our trainers page. We provide helmets though we encourage riders to purchase their own. Riders must wear jeans or breeches with half chaps. In order to be safe while riding, you need to wear a shoe with a low, flat heel. Paddock boots are recommended and can purchased through many online websites or you can visit Dover Saddlery at 306 Peterson Rd., Hwy. 137 Libertyville, IL 60048.